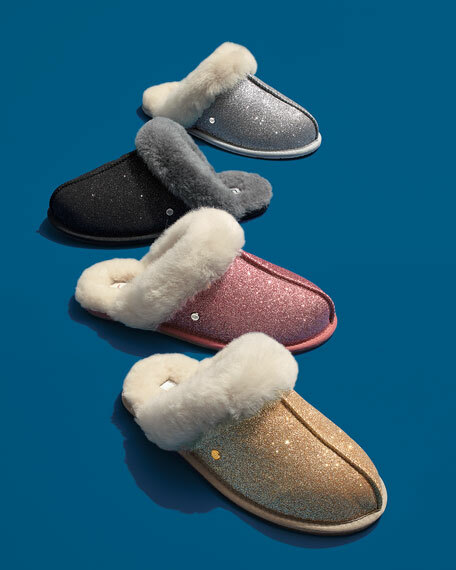 UGG glittered textile slippers with exposed seam detail. Dyed sheep shearling (United Kingdom) collar and lining. Cole Haan running-inspired sneaker with mixed-media upper (textile and synthetic leather). Grand.OS® technology for lightweight comfort, flexibility, and responsive cushioning. Cole Haan running-inspired sneaker with mixed-media upper (textile and synthetic leather). Grand.OS® technology for lightweight comfort, flexibility, and responsive cushioning. 1" wedge heel. Reinforced round toe. Lace-up vamp. Cushioned footbed. Lightweight injection molded EVA midsole. Rubber outsole pods for traction and durability. "Grand Crosscourt" is imported. Water-resistant suede slipper by UGG, the epitome of relaxed luxury. Lined with UGGpure™ 100% wool. 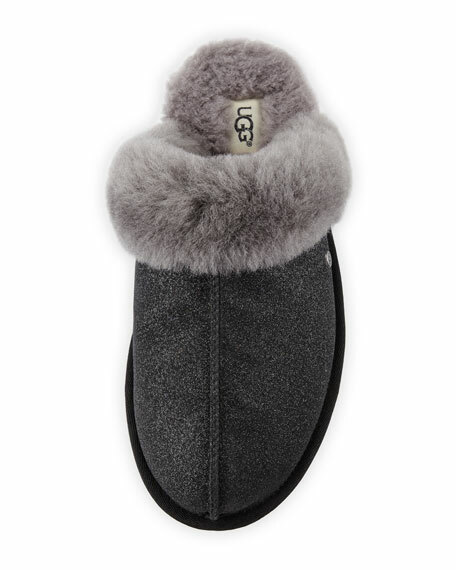 UGG slipper fuses fashion and comfort. Squared toe with moccasin stitching. Wool insole. Flat heel. Lugged rubber driving sole provides traction. Imported. 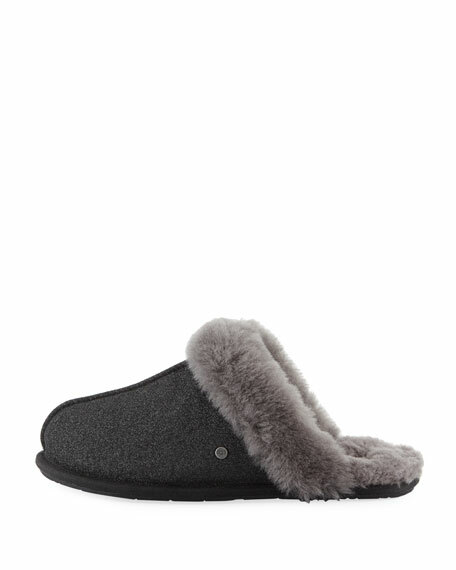 UGG bleached, real sheep shearling (Australia, UK, US or Ireland) slipper. Available in multiple colors. 1" flat heel; 3"H shaft. UGG bleached, real sheep shearling (Australia, UK, US or Ireland) slipper. Available in multiple colors. 1" flat heel; 3"H shaft. Round toe. Suede logo patch on vamp. Jersey collar and lining. UGGpure™ wool insole. Suede sole suited to indoor wear. "Birche" is imported.